Do you work for Skype? I love that Skype allows me to connect with multiple individuals at once, without an additional fee. The company is recognized worldwide and it ensures less of a hassle when communicating with people because of its ease of accessibility. Occasionally the network connection on skype can be a little iffy, however, this can't always be blamed on the company as people have different wifi speeds and there are many other variables involved. It can also be tough to find peoples usernames at times. In terms of recommendations to others considering using Skype for their business or personal needs, I would say it's important to ensure that you have a strong network connection for things to run smoothly and that everyone is already added as a contact. This definitely ensures a smoother user experience. I personally use Skype most when I need to have a conference and not everyone is at the same place at the same time. The benefits that Skype offers are that I don't need a space to hold all the individuals partaking in the conference, and it allows me to work from the comfort of my home, office or when I'm away. Learning about Skype? We can help. Skype is a very popular and very useful tool. It has versions for desktop and smartphone and integrates perfectly with the most diverse operating systems. Its video conference functions are very attractive both in home use and for business matters. This software was a major breakthrough for me because it changed the way I communicate with people who are distant. At the moment, I have nothing to complain about this software, because it caters me perfectly. It's free and quite useful in my daily life. Skype is simple, very popular software with a lot of modern tools and functions. It perfectly meets the basic requirements of remote communication. Its versatility whether on the desktop or on the smartphone is incredible. Skype gives us the feeling of being closer to people. It is a tool that optimizes your professional and personal life. Currently, some job interviews are done by Skype, including my first contact with my current job was through Skype. "The best free software that works for calls and chats"
Skype is simply the best tool to make calls, chat, organize meetings, conferences and stay connected with your colleagues or friends. It offers many customization features, most of which are free and you do not need a subscription to use them, you only need your email account, since the software allows you to create a user with any email account. In particular, I do not dislike anything about Skype, because it is very easy to use and its interface shows everything within the reach of a click. In my opinion, it is progressing very well. It is friendly, it is very easy to use, you just have to register, create your account and start enjoying this tool. From my personal experience, I can only recommend Skype to all those who need to get in touch with friends, whether they are near or far, since this tool was designed to get us a little closer. With this tool we did not have to solve problems, on the contrary, with it we were able to solve communication problems since you can organize meetings, chat with your friends and colleagues. In the company I work for previously, they use Skype for companies, which is very similar, only for business, not commercial use. I like the fact of being able to access a Microsft application with my Gmail account, this in other apps is usually a problem, another thing that I like about Skype is how efficient it is, it makes the most of the bandwidth I have to offer me a excellent call, another thing that I like about Skype is that it is committed to the maximum configuration of users, being able to be quite attractive as a social network and means to communicate with people inside and outside the country, it is economical and it keeps updating its platform, it is very Great and definitely my favorite to make video calls. It is impossible that I can taste, is super social and is key to the communication between family and friends. Communication is a fundamental factor to achieve success as a store, Skype helps us to train, through courses with staff from other branches and is completely free, I recommend it with your eyes closed and I can say that it is currently the best in its style. It is important for our store to keep us alert of all the updates that occur in the company and the new directions that are given from the main branch, thanks to Skype we can do this easy, we only create a private room and we can make an exchange of ideas or proposals with our headquarters in Spain, Skype brings us all closer and improves our teamwork. "Herramienta innovadora que permite minimizar gastos en la empresa"
- No requiere de mucho ancho de banda para mantener una conexión estable. - Permite intercambiar archivos en tiempo real. -Se pueden realizar varias llamadas a la vez permitiendo compartir la pantalla de cada usuario en el programa. -El entorno de manejo es muy fácil ya que tiene iconos definidos que son atractivos visualmente. -Se adapta a todos los sistemas operativos. - Para disfrutar del buzón de voz y realizar llamadas a teléfono fijos hay que pagar por el servicio. -Demanda mucha utilización de memoria Ram lo que hace que la computadora presente lentitud en los procesos. - Se ha permitido establecer comunicación con 15 regiones distintas al mismo tiempo semanalmente lo que ayuda a mantener una constante actualización sobre los temas que se manejan la organización. -Gracias al programa se puede enviar documentos de interés que pueden ser revisados mientras se mantiene la videoconferencia los cuales son discutidos por todos. "Skype for Business Video Conferencing"
Skype definitely has some really attractive benefits. Skype provides high quality voice calling, video calling as well as chatting option. If you are looking for reliable, high quality voice calling, Skype is the best platform. It is the most reliable VoIP services you can use. When you use Skype for your business, one of the first benefit is that it helps to limit the amount a company will spend on their phone bills. Million of individuals and businesses use Skype to make free video and voice call. It also helps in sending instant messages and share files with other people using Skype. 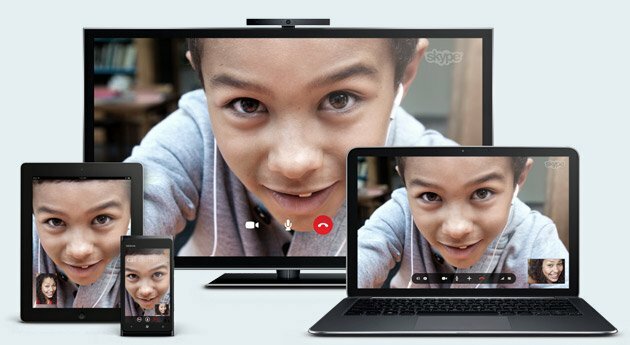 You can use Skype on your mobile, computer and tablets. The only thing I come up with the con of Skype is that if lost your network connection. or with a poor internet connection you will face some difficulties in streaming your video call. Also for international calls you need to pay. I am using Skype for both personal and official purposes. It helps me to always connected with my colleagues and boss. I love that thanks to the application I'm close to my friends and family, so we are separated many miles away. I also like that it has really economic plans that adapt to the needs of each user. Its interface is very easy to operate, so my mother finds it very easy to use and that fascinates me, because it is my means of communication with her. I also like that although it is an economical service, it also provides an excellent quality service. I must admit that Skype is the best platform for video calls that I have used, there is no doubt about that and considering that it is very economical is even better, it is difficult that something I do not like about it, however, you have to be careful with the Internet connection because when it is very slow, the video call falls, or in its absence begins to work badly, the audio is suddenly not heard and the video is frozen, so you as a user end up cutting the call. Check the prices and see the amazing plans they are offering. I didn't start using Skype on my own, if I must admit that I had heard a lot about the application, but I felt I didn't need it, until one day I got to work and it was a requirement that all the employees had the application installed on our mobile, suddenly when we started communicating with our boss by that means I realized that the service offered by Skype was the best, so I began to tell my friends how great it was, I also installed them to my mother on her mobile and well since then I communicate very often with my loved ones by that means, plus when I'm away is very useful to me because I feel my mother super close even though hundreds of miles separate us. "Excellent to be in contact with customers"
Skype is an excellent tool to keep in touch with both clients and other members of the team. Two of the things that I like most about Skype is that, in the first place it allows you to record the video called, this has great value since in many occasions although we take notes about the revalent points, then, when we review them, there are ideas that we can not remember clearly. The fact of being able to see the recording again allows us to review the points of interest as many times as we require, besides that in this way we concentrate on the video call with the client without worrying about having to take a detailed note of everything. Second, another function that is super valuable is the screen sharing which allows us to show in real time files or work avences to our clients in which we can make corrections at the moment. I recommend it extensively is an easy to install and easy to use software, it will allow you to be in contact both at work level and at a personal level. Skype has allowed me to be in contact with several customers in a more personal way and on many occasions, when we have had to make corrections on a project, we have carried them out at the time, along with other team members who join the video call. "The most complete free software for calls and chats"
I think Skype is the best software to make calls, chat, organize meetings or conferences. It provides many customization features most of which are free and you do not need a subscription to use them. It has a simple to use interface, pleasant, always up to date. What more could you want from a free software? There's not much to complain about. Sometimes intercontinental calls are not very clear, they are heard at times, and the signal often falls. by default it starts automatically with the switching on of the PC and to remove this setting it is necessary to fiddle enough. From my personal experience I can only recommend Skype to all those who need to get in touch with colleagues, friends, whether they are near or far does not matter. Skype will allow you to reach them in the blink of an eye. It is a fast, easy to use and minimally invasive fast software. With Skype I can finally organize meetings, job interviews despite the distance, and/or simply chat in a few simple clicks. It requires little internet bandwidth and is compatible with virtually all existing devices. Not to mention the possibility of using it on the smartphone as a mobile app, what a comfort! "It helps me to connect anywhere"
"I have had a great experience with Skype"
Skype is a good tool to communicate with people easy and fast in the same company. It is very useful to teams of workers. Additionally, it helps to give application support to the users. Finally, it allows u to integrate with other people through Skype meetings. Sometimes the chats would lag when talking to individuals. Also, the call quality was not the greatest if the connection was not excellent. This software is perfect for a company like ours as we are spread out all over the state. It allows us to still have face to face meetings with the ease of being in our own homes. I love that you can just send a quick message to a coworker and they can either respond right away or if they are away it sends an email that they can respond to at a later time. I also like that it tells you who is available and who isn't. I have had a great experience with Skype. I prefer Skype over other similar software. It’s easy to use I love the ease of communicating with people over the same organization. Emojis are also a fun feature. "Perfect communication web and app"
Skype is the best communication service through web and app. Sometimes I use from the web and sometimes use this via this application. I am also like its nice looking android app. I feel comfortable to use this application. All the features are very good and easy to use. I can chat, group chat, video chat and audio call for free to other Skype users. And also can communicate to the cell phone or landline at cheap rate locally and internationally. I almost like its all features. But only facing a problem that Android app sometimes takes time to open. I like this product very much. So I tell that you can use this application for communication problem-solving. I can contact any time to my colleague and other people. Can discussion with my staff through video conferencing. This is very helpful to us. Can share the message, link, photo, chart easily. Skype allows us to contact a person from every corner of the world. It's a very widespread voice communicator that allows you to make calls at a meeting. It can choose the time of conversation, we can also send unlimited messages. It is compatible with both the computer and the phone. It is available on Android and IOS device. An additional advantage is the ability to create presentations, attach notes or share the screen. We can also use the Skypeln function, which allows you to set a virtual phone number, very much appreciated, to which every regular telephone will be able to call on Skype. One of the drawbacks is the fact that the quality of conversations depends very much on our internet connection. Skype can be a perfect network option. We can quickly contact people who are absent from our company. If you're looking for a great solution to make calls, Skype can be a perfect solution. If you are looking for a platform that will allow you to make contact with trading partners from around the world or with your family, you should consider trying to use Skype right now, especially since it is available for free. - Among all the applications I use for video calls, Skype provides the best experience in terms of delivering live video streams. It is fully adaptive based on connection speed it rarely happens to lose a connection and Skype tries its best to deliver video with the best possible quality. - Skype is a cross-platform application and is almost available on every device. - Skype has understood its target and has never tried to add thousands of extra features available on other applications. They have focused on providing the best calling quality and that's all about what Skype is. - The screen sharing feature is highly appreciated. - The UI (user interface) doesn't much interest me. - Text messages are late delivered. - Doesn't have the option to sign out from other devices. The only way to accomplish is to change the password. - Doesn't let you change your username for old accounts. This means that they don't work to make things better. Skype is my only best choice for video calls especially the ones we're expected to talk about something on our screens. "An easy way to communicate with my co-workers"
One of the things that I like is that it allows free phone calls over the internet helping lower our own landline phone bill. My favorite aspect is the ability to see the availability status of any employee in the organization. I don't like how many buttons you have to click to get an EE's information or an organization chart. It's fallen a bit behind the times and you can't pass other than text through it; no files, pictures, voice, or music. It is easy to add people to calls and to transfer calls. I love that at the touch of a button I can be connected to anybody. we have an unlimited calling plan and it's easy to reach other employees through text or phone. I've come to rely on it as my first line of communication when I need to contact a co-worker. I like the way it integrates with Outlook and how they keep track of whether people are online or off work. It's great to just toss a short thought to a co-worker. "It's the best way I have to communicate"
Skype is a great joint effort stage. That is where business gets benefits when it gives the consumptions a chance to lessen and gives its administrations. Skype is one of the astounding and valuable results of Microsoft. It requires internet all times, it does not work offline thus that's a bit challenging, also too many updates requests, it always has something new to update. The best way to communicate with our department in the US is via a Skype call, excellent quality, and sound. Also open access to share all files i.e images, videos, audio files, and documents. It's fast and easy to use in terms of communication. Holding online conference meetings. Sharing important information between employees. Can share screens easily with other parties to see whatsoever your discussing Offering support to other employees easily online. Business meetings with stakeholders give very clear video calls, this helps well in conference online meetings, company meetings and one on one conversation with colleagues. Quality of calls, fast connection, best performance in low speeds, I like the screen sharing option, user friendly and easy to install by mostly of the users, even if you don't have your device with you it's easy to be in touch using Skype web in your browser. Another thing I like about Skype is the group feature, multiple people can speak with each other on a single call without any other equipment or attachment. That make you saving money. Find people should be complicated sometimes, I'm a little concerned about the security of the data, No translation services. I helped some former coworkers to solved some technical issues in theirs computers and I used to help my boss with typical problems using Skype when I was out of the country. I have been using Skype for business from a quite long time. I like the way the interface is. Its self explanatory capabilities makes it easy for freshers to get into work immediately The search bar is very useful to search for the employees in the organisation. group chat initiation is a good advantage. We recently hookedup a webex meeting utility tool which enables to start and share meeting content with just one click on Skype. I have seen skype from past 10years, so I clearly know how it evolved during time adding many features and many more to come on its way. Its not about disliking, but people in my organization expects to have a group chat within the team with one click. It will be possible only if it allows to create us groups in Skype. I couldnt find a way to create groups in Skype. The attachments we transfer will not be available like in emails forever. They just show up there on Skype but we will not be able to download them after some days or so. If they can make them available, maybe it can replace other products swiftly. Start using it and make your life easier. Reaching out team members and other employees in the organization made easy. Its a one stop communicator. We are able to share content on the go with out using any ftps or so by just using attachment option on the skype. The ease of communicating with people across. The ability to send files is helpful, as well. Very easy to use. Also works as an IP Phone, so you can't only talk to other Skype users, but also buy credits and call every phone number in the world. Skype has always been my foremost choice whenever it comes to get linked or commute with the colleagues or friends. Easy to download, install and use. It gives us a nice platform for keeping meetings with a number of people at the same time. Its video calling is the one of the powerful feature and that is most important for everyone. File sharing is not much reliable in this tool. Either it gets disappear from the chat box or either it is unable to handle large volume files.. I have been using Skype to communicate with colleagues. The video chat is smoother and of good quality. Chat rooms help organize me into teams. Supervisors have authorization to create team-only chat rooms and easily manage these. 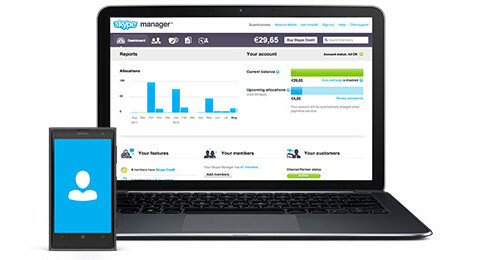 "Skype : a best tool for business use"
Its very best in terms of usage and reliability. Very easy to use and take advantages of all available functionality. Very reliable to use for chat or video conferencing and even screen share and taking access of other machine is very easy. great experience with audio calling and group chats, even meetings are incomplete without skype and great tool where we can have call and meanwhile have our screen share to continue the presentation with corresponds to our our presentation. Its almost a perfect tool for business communication tool. But when it comes to usage of personal skype, it would be better to have simple application instead of bulk application size even in mobile app. Overall a good application but need to work on its interface. Its a great tool for business / personal usage application for daily communication. Its recommended for making communication easy. Its a basic tool for any sort of communication for any business requirement, and adding to it provides a quick time access to any contact or any person. Screen share is another great solution that is implemented for better communication. The conference feature of the product is amazing. It is really helpful especially when you work with global teams and there are people with different country codes. It really saves money and it also saves time because it has the conference feature. The video quality is sometimes poor and I think they should work on that. It is really disturbing or rather distracting when you are talking to someone or if someone is sharing their screen to show you their work and the screen pauses and you are not able to see but hear what the other person is talking. It breaks the flow of the presentation. It is a wonderful product. The quality of the conference feature is really good. It is really helpful when people from different countries are involved. It will really help people who work with people across different countries or even people in different cities. I mostly conduct web meetings on this product. It helps me in connecting to multiple people at the same time. I conduct presentations on skype whenever meeting my whole team is not possible or if we do not have enough space at our office. It is very useful when you are working with global teams and I would highly recommend it to people who have to conduct calls to discuss work. The conference feature is really good and it can connect multiple people at the same time. "Skype - The best communication tool"
Skype is a really convenient and easy to access tool. In our office we use only skype as a communicating tool.IT s features like sharing screen,audio and video calls are really helpful.It is easier to find the contacts in Skype and also the various status setting helps us.Ton thanks for the mobile app which was really helpful when we had to step out a bit from office but still were able to get connected with colleagues for any official issues or incidents. SKype helps to connect with colleagues easily and it mobile mobile is way easier.Especially in cases where i had to work with offshore team, I did not have to login to my laptop to talk to my counter parts at different locations. "I'm very happy I like to create groups on Skype"
I love skype I really did not know how this application was until I decided to register in g2 crowd and I was fascinated. Skype is so good that I created a group and added it to my co-workers. It's great. I can place photos and place them in the group, use the audio calls and they are great, and the video calls are amazing. I love Skype and will continue using them. "Skype for communicating work load between colleagues"
Using the skype instant message chat with a group of colleagues helps to ensure that we can work efficiently as a team and that we do not double work on the same tasks. Effective communication between the team members increases the speed at which the team can complete critical tasks for the company and ultimately tackle more work load. Just like many applications for chatting with others, instant messaging can be distracting at times. The user interface, similar to Facebook Messenger having emojis can leas to distractions in the work place. I often find myself being sidetracked and discussing non work related topics with colleagues during work through the skype messaging application. However, all work with no leeway for fun discussions at work will result in a poor work environment. I that Skype can be used for various purposes. However, I think Skype's strength lies in the applications design for professional communication. If users would like to casually communicate with others, then Facebook would be the applicaiton for that. Skype is still a good application to use for casual purposes but is excellent in the work place. At work, I work with other engineering interns as a team of three. We complete tasks for the lead quality engineer of the company. A lot of our work involves writing reports and gathering critical data for the supervisor to review. To ensure that we do not complete the same work twice, we communicate our tasks to each other through the Skype application to effectively complete tasks and meet essential deadlines. "The feeling of using Skype is great"
I like this application because thanks to it I can communicate directly with my family friends and in my office hours I can attend my clients directly and quickly with professionalism. Skype calls are quality video calls and very comfortable plans for my pocket and has no network or skype connection failures is luxury. With Skype the attention to our customers has improved since through this tool the communication is more direct and we can better understand our customers regarding their vehicle choices since `for us at Ford it is an honor to personalize the vehicles to the taste of our clients and with Skype we can make that work easier by means of chat photos or video calls. 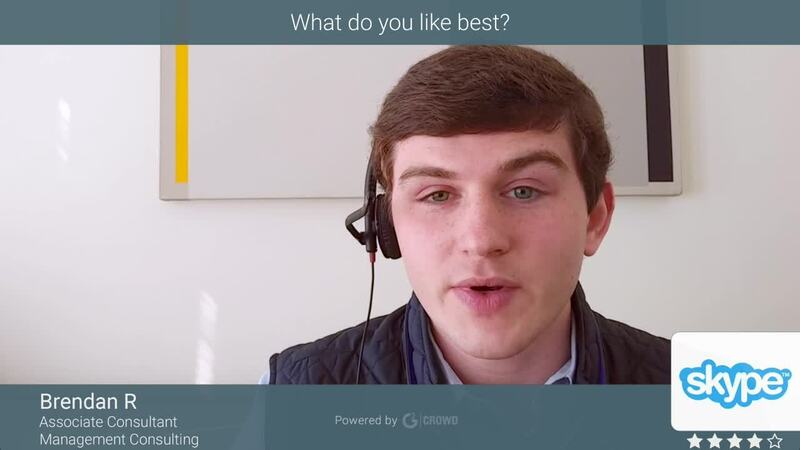 "Skype is great but has room to improve "
I like that a lot of people use Skype so it is easy to have a video call with both local and international clients. I also like that you can screen share and record the call into a downloadable file. I also like that it has a chat feature incase the call isn't working well. I dislike how hard it is to find users sometimes and how it has to be a program on my computer vs being a web app. I also feel like they are behind with updates and plug ins and there are now a lot better programs available. I would recommend Skype to users looking to have a desktop program that is fairly simple to use. I am able to talk to international clients for free which has been great. I have noticed that since it is the most universally used program it is really easy to set up calls. "An easy to use and very good quality tool." It is recommended and always before implementing the product should be counted as well as revisions in a way that can cover profitability in terms of its use as well as financial expenses in implementation and use of the product, is a security solution of high caliber , with good support however it is not so easy to use since it is not so intuitive but that if it is powerful and guarantees a strong experience in services. The only requirement is that you have a stable internet connection to ensure the best quality especially as video calls. Highly recommended since it is a product of high experience with a long time in the market, of prestige and recognition worldwide, its plans are economical and the quality is one of the best also it is multiplatform which gives advantage that can be used in different devices conserving their interface and functionalities. One of the key points is that it is used by the majority of the members of the company, as well as the fact of being multiplatform, its implementation is quick, and has solved many problems in terms of communications and its use has been applied for conference and during projects that need the collaboration of media professionals. "Screen sharing with skype helps with training users while outside the office." Efficient for sharing files thus very efficient. Video conferencing helps to communicate with clients from anywhere in the world. Chatting with friends is great in the company. From the day i started using skype i have not seen any flaw. Yes i would recommend skype since its very reliable with screen sharing which helps to train the users while outside the office thus saving time and resources. Sharing of files is very efficient and easy to chat with friends and colleagues. Video conferencing which helps to communicate with users from anywhere in the world. Reliable communication through video calls with clients and friends from anywhere in the world. Screen sharing helps users outside the office to participate during training thus very convinient. Sharing of files and easy to chat within the office thus very efficient. Notifications are very helpful since they notify the users. "Toller Chat für persönliche und geschäftliche Beziehungen"
Das Beste an Skype ist, dass die Anwendung sehr vollständig ist und alle Arten von Kommunikation wie Chat, Text, Video oder Audio ermöglicht. Außerdem ist dies für den Benutzer sehr einfach und schnell, sodass keine großen Lernverläufe erforderlich sind Verwenden Sie die Anwendung richtig. Die Audioanrufe funktionieren auf eine sehr ähnliche Weise wie ein Telefonanruf, obwohl die Daten über unsere Internetleitung oder das 5G-Datennetzwerk übertragen werden. Die Audioqualität ist sehr gut, da sie wesentlich höher ist als die Audioqualität der Anrufe, die bei herkömmlichen Telefonanrufen auftreten Ich mag es auch, obwohl ihre Datennutzung viel größer ist, da die Größe eines Videos größer ist als nur Audio, aber es reicht bei einer Leitungsgeschwindigkeit, die über dem Durchschnitt liegt. Ich persönlich arbeite mit 20 MBs. Auf und ab arbeite ich fließend. Was mir am wenigsten gefallen hat, war der Preis der Anwendung, es schien etwas übertrieben für die Anrufe. Ich mochte auch nicht, dass die Qualität des Videos standardmäßig sehr niedrig ist. Sie müssen es in den Optionen ändern, um es hochzuladen. Wenn Sie dies tun, steigt der Datenverbrauch jedoch erheblich, sodass es sich um ein zweischneidiges Schwert handelt. Skype eignet sich hervorragend als Chat-Anwendung für Personen, die in Kontakt mit ihrer Familie oder ihren Mitarbeitern stehen müssen, da der Chat überhaupt keine Kosten verursacht. Sie können auch Arbeitsgruppen erstellen, in denen Sie miteinander sprechen können. Außerdem empfehle ich Ihnen, online Rabatt-Gutscheine zu erhalten, um den Preis oder die Kosten der Anwendung zu reduzieren, wenn Sie Video- oder Audioanrufe verwenden möchten. Ich brauchte eine Anwendung, um mit meinen Bekannten und Mitarbeitern in Kontakt zu treten, die mir mehr als nur das Telefonieren oder die Einfachheit einer E-Mail ermöglichen würden. Versuchen Sie es mit Skype. Ich war von Ihrem Chat überzeugt, da Sie mit den Leuten in aller Ruhe und ohne Eile sprechen können. Skype is one of the smartest Microsoft acquisitions. With the latest development, the software is much lighter to use with a bunch of in-app features like doc sharing, recording, etc. More features are needed for new business environments. For example, cloud storage, live to chat with clients and send out large documentations through Skype. Businesses should able to connect by using this software but I believe Skype is working on it right now. Very good software for daily use. Increased overall efficiency inside the business and I would recommend this software to new business owners. It is very convenient for a user to communicate inside the office or outside the office. People within an organization get connected by using Skype. I use Skype to communicate with employees. While working on projects, we meet every week at a conference, show the results of work, adjust the work. Sometimes I call my colleagues on my mobile via Skype. I can say that internet connection and telephony work well. Skype is very easily available and equally easy to use. We use it for client interaction mostly. At times for work from home also it is very convenient and has helped us. 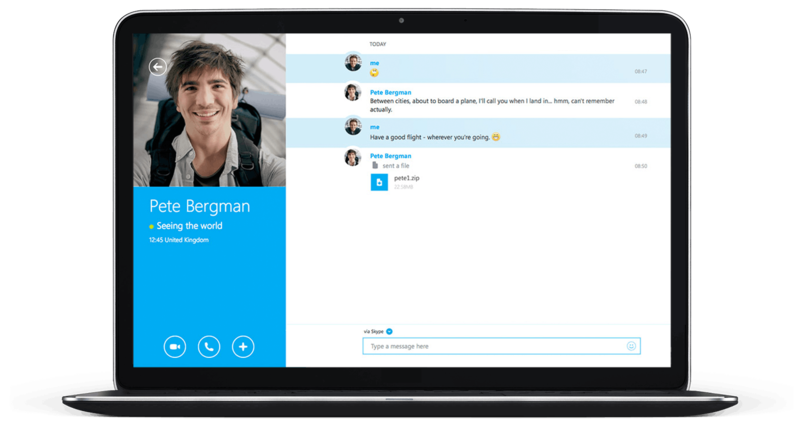 Chat feature for Skype for business is also used from time to time. It makes talking with team mates within office pretty easy. It requires very good Internet connection to operate. If bandwidth speed is slow it is not easy to operate. So when somebody has gone to his hometown in smaller district where internet speed is not good it is not very useful. Chatting with team members is made easy. Using video stalling feature for both one on one and group calls is very useful. At times only audio is sufficient and even that feature is used many a times. "Easy Connect with People "
When dealing with sales and marketing ,unlike other software I found Skype to make my work easy and communicate with people in a easy and comfortable way . Skype is very user friendly and more effective to connect with n number of people around the world like calls video calls ,chats, conference calls and many more. stickers,emojis and so on . It also helps me to share files like PDT,documents,pictures which reduces my effort and time . and the some interruption of background noise. I strongly recommend Skype to everyone as it is very easy to connect with people or customers all around the world . personally and professionally which helps any one to achieve their goals and their set targets in a simple way to bring revenue to the organization . I mainly deal with sales and marketing ,Skype is very user friendly and more effective to connect with n number of people around the world like calls video calls ,chats, conference calls and many more. Skype is an excellent telecom application tool for video and audio chat and I really like it. It has very good performance and quality of the calls is also very good. Also like the messaging features that it has. It is very much affordable from a company's prospective. The free version also is pretty good and serves almost all the necessary features one can ask for from such an application tool. Sometimes the calls get disconnected abruptly which is not good specially when there is customer in on the other side of the meeting. At times there are noise distortion which is not good. Many of the times it starts installing the software automatically when you try to log in which is a bit annoying and time consuming. Because Skype is an excellent telecom application tool for video and audio chat so I would highly recommend this tool for everyone who wants to have a reliable video and audio conferencing software in their organization. We use Skype for Video meeting as well as audio calls and for messaging as well. Skype has benefited us in a long way. We were able to have video meetings as well as audio conferences with our customers without much of a hassle. "Skype very good for communication at all"
I like the quality of voice and video that skype allow you to use. I am an early user since the times when we used MSN Messenger from Microsoft. I always used the skype for video conference, because I think it's the best on the market. I don't like the updates. As a linux user the updates always ruin functionalities that already worked. For Example: The last update we have a new functionality of pools. It didn't work at linux. When I updated to the last version, it crashes every time I try to open the interface. Then, I downgraded my version and I don't see the pools but at least I can use skype. Another bug, is that when you call someone that uses windows it works as intended, but when a windows user calls you, you don't receive the call. It's very frustating. I would like to recommend skype for everyone that needs this kind of solution in your workplace. It provides a very easy to use tool that is very configurable and stable. It also is multiplataform that makes the experience in general better and better. Don't worry that you won't regret using skype. We already tried other options but we always come back to Skype. Internal Communication and with other sites. We have sites on: Rio de Janeiro, Curitiba, São Paulo and Maringá. We need to be in touch with each other, so we use skype to do this. "Love the features at my fingertips!" I like the fact that if i need to share my screen with a colleague I have that ability without having to use another product like Team viewer. The interface is very easy to use, and we can search for users if we need to get a hold of them rather then having to look at a company directory. Also love the Outlook Integration! The company Server for Skype tends to go down a lot, Not sure if it's on the program's end of if it's a issue with how it's configured but it tends to go down right when i need it most. This is not an issue we have control over, but an observation. It will save you a lot of time and hassle! It's Easy to use and get your users setup with. It also helps for troubleshooting remote issues or team collaboration. Remote collaboration among my team members. We don't all sit together but are on the same team, so it makes getting our job done much quicker. Screen Sharing Has been a HUGE help when trying to share results of Projects we have been working on.